A serving member of An Garda Síochana was convicted, fined and disqualified from driving after he was found guilty of refusing to give a breath sample and frustrating the prosecution case at Carrick-on-Shannon District court on March 22. 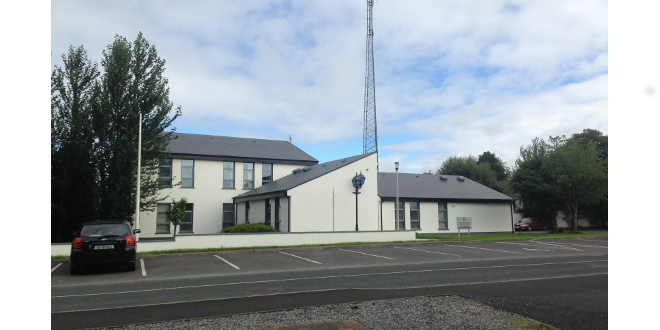 The court heard Castlerea gardai received a call at 00.45 on the above date reporting a two vehicle accident at Knockroe, Castlerea. Garda Catriona McGrath attended the scene with Garda John Gormley and were later assisted by Sgt Michael Walsh. Garda McGrath said she witnessed Gda Gormley ask Mr Egan to blow into the road side breathalyser. She said Mr Egan held the apparatus but refused to blow into it and handed it back. Garda McGrath managed the accident scene while Garda Gormley and Sgt Walsh brought Mr Egan to Carrick-on-Shannon. She noted there was no tax on Mr Egan's VW Passat. Mr Egan asked to speak with him and informed him he too was a garda. Gda Gormley asked Mr Egan to sit in the back of the patrol car “to calm him down.” He made the requirement for a breath sample and he said Mr Egan refused to take it. He was then cautioned and arrested. Gda Gormley reported that during the journey to Carrick-on-Shannon Garda Station Mr Egan requested to use the toilet and so once at the station he was brought immediately. Gda Gormley stated, “He requested me to leave and he tried to close the door.” The garda refused to leave and said the accused then “reached around to the bottle of bleach on the floor and attempted to open and drink it.” The garda said while the cap was opened, he grabbed the bottle off him and put it under the table in the doctor’s room. Mr Egan was then brought to be processed. The court heard Mr Egan was disruptive and then started to complain of stomach pains, requesting a doctor. After 20 minutes of observation, Mr Egan was brought to the doctor’s room and requested to provide two specimens of breath for the intoxilyser machine. There, Mr Egan “dropped to the ground and held his stomach. He then crawled under the table and tried to open the bottle of Domestos again.” Gda Gormley said the defendant did not drink the bleach but a doctor was called. The doctor brought Mr Egan for a private consultation and then shouted for assistance. Gda Gormley went back into the room and saw the accused had taken the bottle of hand sanitiser from the wall and poured it over his face. The doctor administered an injection and an ambulance was called for. The court heard that a short time after Mr Egan left in the ambulance, the crew called to say he had asked them to stop and got out, refusing medical attention. Defence solicitor Evan O'Dwyer asked Garda Gormley why his client was placed in the patrol car before being arrested. Garda Gormley replied, “I thought it would relax him.” He was questioned over whether Mr Egan held the roadside breathalyser. Garda Gormley said he did not take it from him. He also questioned the arrest within the patrol car. Garda Gormley also clarified that at no time did Mr Egan consume the toilet bleach. While Garda Gormley said Tom Egan was not known to him, Sgt Michael Walsh who accompanied the defendant to Carrick-on-Shannon said he was known to him. In closing, Mr O’Dwyer asked the judge for a direction. He said there was no time of driving given and the defendant was not asked when his last drink was taken. He queried the arrest in the garda patrol car, asking if it was necessary when no handcuffs were needed. He also said he didn’t hear the time of arrest. Mr O’Dwyer questioned the quality of the demand for a breath specimen in the station. He said his client was not offered the opportunity to provide a sample of blood or urine. Prosecuting state solicitor Noel Farrell on behalf of the DPP refuted all of Mr O’Dwyer’s points saying the arrest was lawful, and the demand under section 12 was made. Mr Egan is a serving member of gardai and is married with five children. His solicitor said “immeasurable consequences” would arise from his conviction. Judge Kilrane convicted, fined him €400 and disqualified Mr Egan from driving for four years for refusing to give a breath sample. He also convicted, fined him €200 and disqualified him from driving for one year for “persistent” frustration of the prosecution's case. The judge noted this was a “nasty case” and he was very disappointed in the defendant’s actions. He fixed recognisances for appeal at €500.